← Infographic: The Past and Future of Drones in the U.S.
Posted at Veracity Voice, StumbleUpon and Reddit. For the last few years, I have been blogging here about how TSA does not protect you from terrorism and how school lockdowns do not keep students safe. Nor do the security measures recently implemented at Wantagh High School on Long Island. 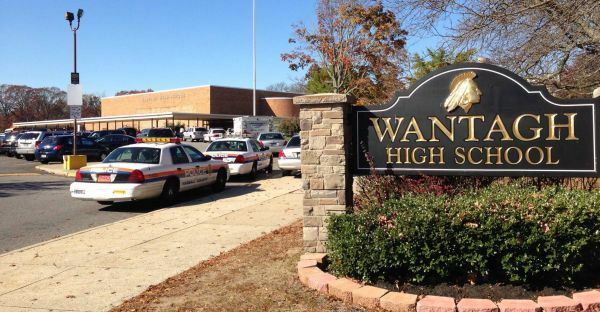 Wantagh High School has banned backpacks and put other restrictions in place after school officials said a series of bomb threats were made against the school in recent weeks. The new rules went into effect Tuesday and officials said they will remain in effect for the rest of the school year. According to a letter from Superintendent of Schools Maureen Goldberg posted on the district’s website, no backpacks or large bags will be allowed inside the school. In addition, all books and personal belongings must be kept in a clear bag and all bags will be checked as students enter the school in the morning and when returning to the building after lunch. Restroom access will also be limited, Goldberg said. Students needing to use the bathroom will need to sign in and out, officials said. While they are at it, why don’t the Wantagh authorities install naked body scanners on campus and implement random pat-downs? I mean, like, they could catch potential bombers. You don’t have to carry a gun or a bomb into a building in order to kill a lot of people. 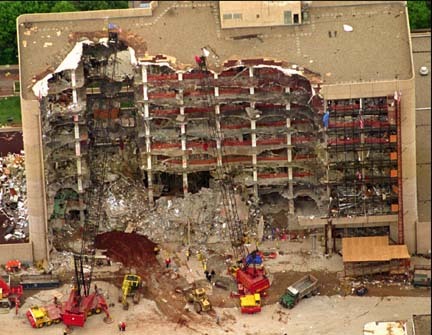 All that needs to happen is for some Tim McVeigh copycat wannabe to park a truck outside the school, detonate a bomb and kill a whole lot of people. The entire “security” apparatus that has grown up in the last decade in America may make some people feel safe. However, it does not keep us safe at all. This entry was posted in Uncategorized and tagged mcveigh, police state, tsa, wantagh. Bookmark the permalink. It’s so ridiculous. If someone wants to kill, they can think of many ways to kill without carrying a backpack. Almost anything can be used as a weapon. More and more students losing their rights to stupidity.